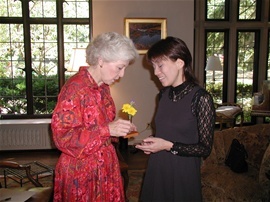 Dr. Yumi is a director of Lifenets Japan (http://lifenets.org/japan/). LifeNets (http://www.lifenets.org/) is a non-profit organization which develops programs offering practical assistance to promote the well-being and self-sufficiency of disadvantaged people throughout the world. Please read the reports of Dr. Yumi after the March 11th, 2011 disaster in Japan. 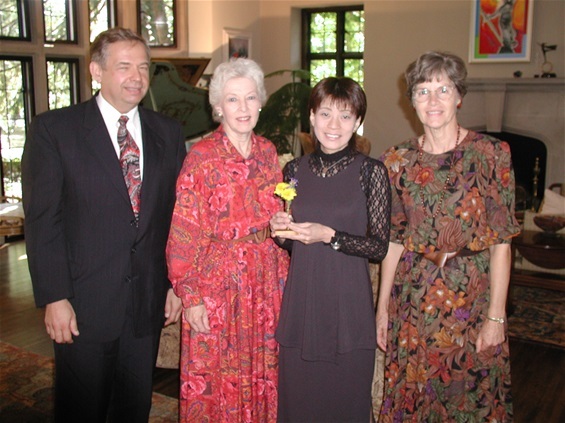 Dr. Yumi Yamamoto, Indiana First Lady Judy O'Bannon, and Kubiks, representatives of LifeNets International, during a visit to Indianapolis on September 12th, 2002.